SYDNEY (AFP) - A 5.7-magnitude earthquake rattled popular tourist towns stretching across more than 1,000km of Australia's north-eastern coastline on Thursday (Aug 18). 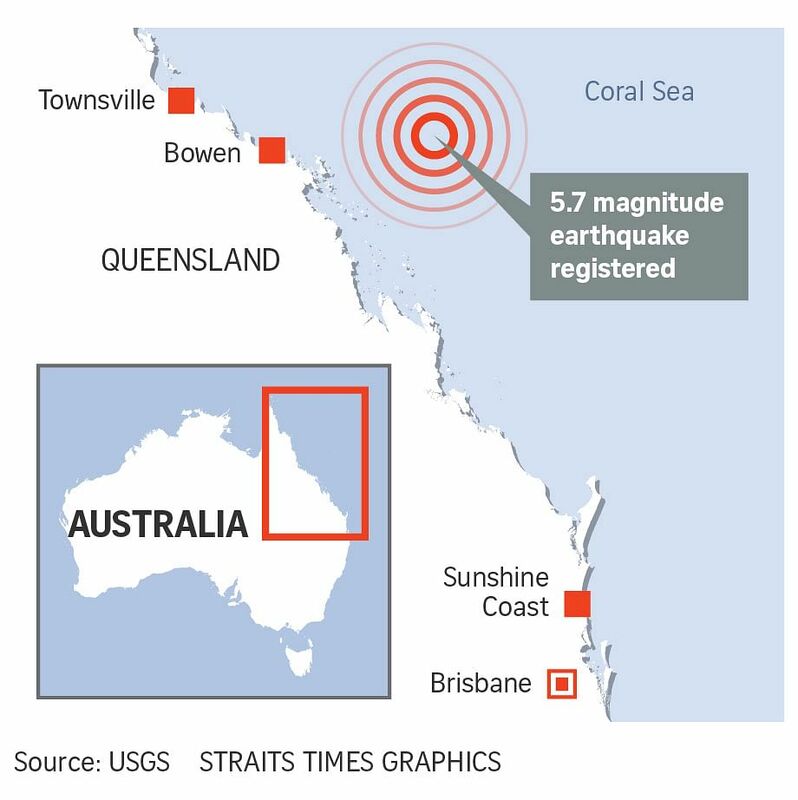 The quake hit at a depth of 7km about 54km off Bowen in Queensland state at 0430 GMT, the United States Geological Survey said. "We haven't had any reports of damage at this stage. The fact that it is 50km offshore is the reason for that. If it was closer to the coast it might have been a different story. We would expect to get aftershock activity after an event of this size." The tremor followed a 4.6-magnitude quake that struck 126km off the Queensland city of Bundaberg, 800km south of Bowen, early Sunday.